Hats Off to Single Moms! single one. Doing parenthood alone is definitely harder, but from what I’ve seen, God often works those challenges for good. When my husband left my daughter and me almost four years ago, I very quickly realized that single parenting was a different beast . . . and hard. But with the help of some wonderful books (hey, I’m a nerd–it’s how I learn! ), I learned to accept my new identity as a single mom. Now, it’s a label I wear with some pride. Being a single parent means that during a child’s meltdown, you’re responsible for dealing with it from the first angry shout to the final sob. When your child earns a “D” in school or gets kept in at recess, you’re to blame, or at least you feel that way. Even those day-to-day worries—“do you think he’s getting a rash?” or “I have a bad feeling about her friendship with that high school kid”—are yours alone. Single parenting feels like a much heavier responsibility than married parenting. And what if, like my heroine Angelica from Engaged to the Single Mom, you have a child who’s very ill? What if you’re poor and can’t find a job? What if you have to move to a new neighborhood or town? All of those situations add to that weight that is single parenting. Yet although single parenting is hard, you can’t let your child know you’re struggling, because you are her security. Especially if you became a single parent through divorce or death, your child may be less confident than before; he needs more stability, not less. When my daughter saw me crying after her father left, she didn’t like it one bit. She wanted and needed me to be her rock. So . . . that’s what I became. In my novel, Angelica is faced with multiple challenges, but she always manages a smile for her five-year-old son, Xavier. When he’s upset about going to the doctor, she calms him with a game. When he worries about moving, she lets him know that she’ll find a job and secure a place to stay, and she does just that. Being a single parent isn’t what my heroine Angelica wanted. It’s not what I wanted, either. But we are so fortunate to belong to a God who works it all for good. As the saying goes, “that which does not kill us makes us stronger,” and there’s nobody as strong as a single parent. Moreover, if you’re going to have struggles—and all parents do—you might as well go through them with a smile as with a frown. After awhile, the smile you put on for your child becomes an attitude you carry through life itself. Solving problems alone, with a reassuring smile on your face and a hug for your kid, leads to enormous personal growth and empowerment. By the time my heroine, Angelica, gets back together with her hero, she’s twenty times stronger than she was as his naïve young fiancé. And Troy, the book’s hero, loves and admires her all the more for it. 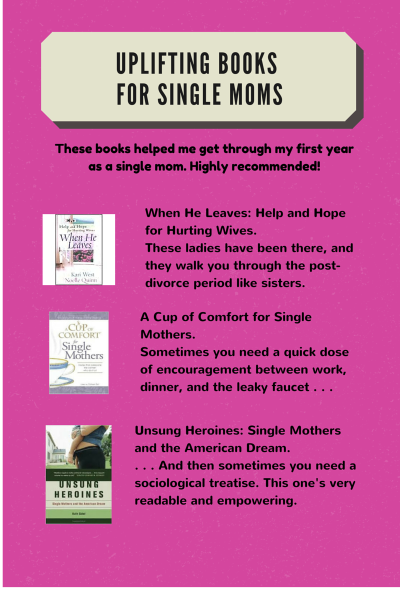 So if you’re a single mom, my hat’s off to you. I wish we could sit down for coffee and talk about some of the joys and concerns we share. Since that’s probably not possible, comment on this post to be entered in a random drawing for my upcoming Love Inspired release, Engaged to the Single Mom. And if you want to be cheered up right now, come sign up for my newsletter and you’ll get an exclusive, free short story that’ll zip you into the world of the Sacred Bond Brotherhood . . . a series about protective, honorable heroes who are handsome enough to make any single mom’s heart flutter! Lee Tobin McClain read Gone With The Wind in the third grade and has been an incurable romantic ever since. 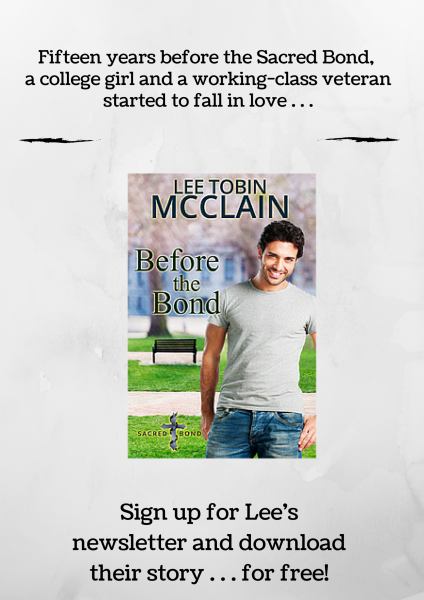 Lee is the author of the Sacred Bond series of contemporary inspirational romances and also writes the Rescue River books (angsty, but full of fun kids and dogs) for Harlequin Love Inspired. When she not writing emotional Christian romances, she's probably driving around a carload of snarky teen girls, playing with her rescue dog and cat, or teaching aspiring writers in Seton Hill University's MFA program. She is probably not cleaning her house. God bless single Moms! You described so accurately the many challenges of single parenting. Looking forward to reading this book. It is difficult enough having to be the sole parent after school and in the evenings while my husband sleeps. I can’t imagine having to do it all alone. Lee, thanks for sharing a bit of what it’s like to be a single mom. I’m uncertain what the future holds for me, as we all are, I’m sure. I’m single but dream of having a family someday. I’ve considered adoption, but the timing is bad for multiple reasons outside my control. Going it alone would be tough, but I love kids and the rough journey might just be worth it. I’m looking forward to seeing how my life story unfolds at God’s command. He’s got great things waiting for me. And for you too! Thanks, Andrea, Becky, and AJ. Parenting is so challenging, and so worth it. I couldn’t make it without other moms to share the journey. I was a single mom eons ago & it certainly isn’t the easiest job in the world!! Thank goodness for the help of my mom & step-dad and the rest of my extended family, I don’t know where I would have ended up. You are right, you have to be strong for your kids even when you are weak on the inside. My daughter was very young, not quite 3, when I left my abusive husband, so even though she really didn’t know what was going on, I still had to put on a good face. I had to be both mom & dad, providing for all her needs & making sure she felt safe. Boy, I would not wish that on anyone! Back then I was a very new Christian & my faith wasn’t the strongest, but I knew God was there every step of the way. I really did a lot of growing up in Him through that trial. For me, my daughter was my rock (next to the Lord of course!) that kept me going & bettering myself. 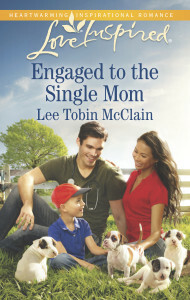 Also, thanks for the chance to win a copy of “Engaged to the Single Mom”. Sounds like a great book that I would very much enjoy reading! Blessing to you!